I just stumbled on this today. While I am no longer with Faber-Castell it was fantastic to be quoted by ASTRA on their Play at Work certification. I signed on for my departments to have ASTRA experts deliver a two-day program to certify our Product Development, the Graphics team. We extended the experience to include the compliance and sales departments. 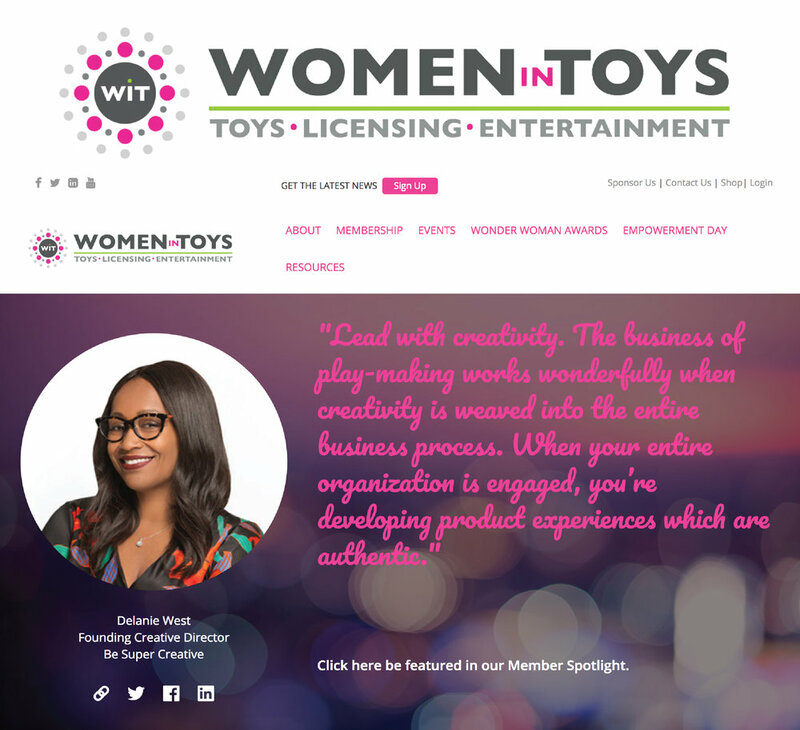 There was a clear advantage for our whole organization to practice these principles - for a total of 22 participants in the program and all certified Play Experts! We were the first company wide certified participants in the program! 🏆 <----That was something I didn't know until today! 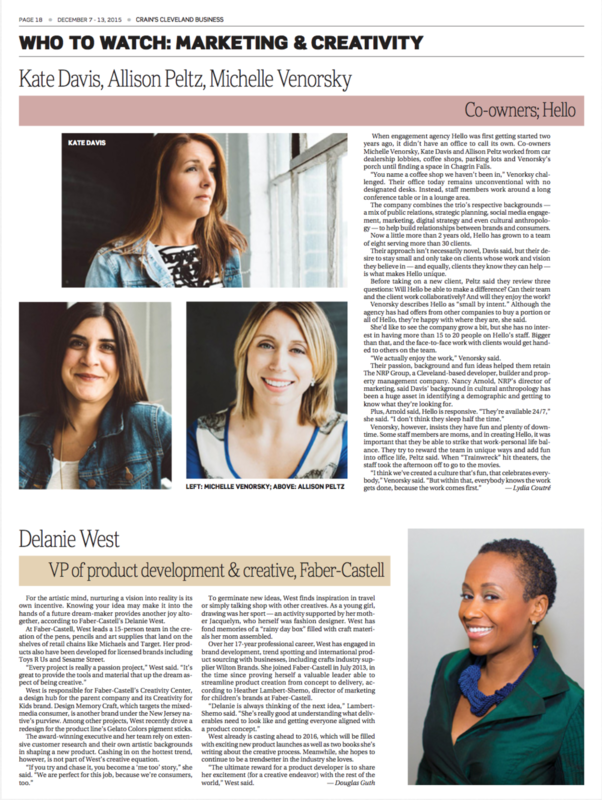 Delanie West, VP Faber-Castell Creativity Center, shares: “We always look for opportunities for product teams to sharpen skills and improve on current processes. The workshop delivered specialized content which we could immediately implement into our work. It’s been exciting to see that team members have already begun to practice what was learned at the workshop. As promised, the organizers of the Newark Historical Renaissance Ride, which enjoyed a blockbuster debut in the fall, are back for a seersucker-and-linen themed ride for the spring on Saturday, June 16th at 9 a.m.
Co-founders Hassan Abdus-Sabur and Paul Chinnery, and creative strategy pro Delanie West, are the visionaries behind the event. The trio collaborated to organize the ride and attract a broad cross-section of local sponsors and community partners to make the event possible. The ride will culminate at Newark Public Library for an “After Social” event, which will feature live music and a curated history of architecture and cycling culture. Chinnery, who is also an accomplished photographer, said the organizers “are seeking to dismantle long-standing, negative stereotypes regarding Newark and its residents” via the ride experience. Abdus-Sabur added that Newark is “the perfect city” for the Renaissance Ride concept. “It is literally transforming right before our eyes, so we feel that now is the perfect point in time to merge the past with the present and create a social, sartorial, and a historical experience like no other,” he said. Speaking of the sartorial, fashion will be an important pillar of the Renaissance Ride experience. Participants are encouraged to get decked out in seersucker and linen finery, and awards will be given to the best-dressed woman and man during the post-ride event at the library. West, who headed up the creative and marketing for the ride and is a semi-competitive triathlete, noted that participants needn’t possess anything near her level of athleticism to participate. “You just have to be stylishly outfitted and remember your biking skills from when you were a kid,” she offered. The low-intensity ride is about 10 miles long and estimated to take 2 hours, including stops. The event, whose lead sponsors are the City of Newark, Newark Community Economic Development Corporation (Newark CEDC) and the South Ward SID, kicks off in Washington Park (33 Washington Street) on Saturday, June 15 with a 9 a.m. check-in before the ride itself commences at 10. In addition to showing off more of the best of Newark, the event also aims to celebrate and advocate for cycling culture. Tickets, and bike rentals for those who don’t have one, are still available on the ride’s website as of this publishing. Enjoy the warm weather as you dress for the occasion - the premier cycling & social experience of the season. Wear your finest seersucker, linens, hats and caps and prepare to pedal your way through Newark at the 2018 Newark Historical Renaissance Ride on Saturday, June 16th. Check-in begins at 9:00 a.m. in Newark's Washington Park (33 Washington Street). The ride begins at 10:00 a.m. Sponsors include the City of Newark, NCEDC and the South Ward SID. Seersucker & Summer Linens are the seasonal fashion theme of the event celebrating cycling advocacy and the cultural and historic heritage of America's great urban cities. Be sure to bring your signature look. Best dressed Woman and Male recognition will be awarded to the riders with the most-on-point style. As the Seersucker Summer Social Ride tour route comes to completion, riders will convene for an After Social at the Newark Public Library, the fifth and final stop of the tour, for a curated history of cycling culture and architecture. Participants are invited to be social, relax, enjoy light refreshments and live music. Merchandise will be available for registered riders. The event is a passion project for the three partners who serve as visionaries and volunteers for the organization and its experiences. "Newark was probably the perfect city to start a Renaissance Ride," noted co-founder Hassan Abdus-Sabur. "It is literally transforming right before our eyes, so we feel that now is the perfect point in time to merge the past with the present and create a social, sartorial, and a historical experience like no other." "By making our beloved city the focal point and incorporating both historical and cultural aspects into the bike tour, we are seeking to dismantle long-standing, negative stereotypes regarding Newark and its residents," added photographer and co-founder Paul Chinnery. "My goal is the same as my photo one - to change the narrative, one event or picture at a time." Stylish banners in the South Ward Special Improvement District (SID) highlighting the event will set the tone for a warm welcome. Ronice Bruce, the SID's Executive Director, said with the riders traveling through so much of the South Ward, including Weequahic Park, down Bergen Street, and on to Clinton Avenue for a stop at the Amphitheater before heading to the library, the event provided the perfect opportunity to link Newark's storied past with the growing buzz about its future. "Redevelopment is already taking place throughout the SID's Bergen Street, Lyons Avenue and Clinton Avenue corridors," Bruce added. "We believe events like the Renaissance Ride are a great showcase for the positive changes taking place in the South Ward and other parts of the city." While Delanie West, who directs the team's creative and marketing efforts, is a semi-competitive triathlete in addition to a leisure rider, she says participants don't have to train for months to be a Renaissance Rider. "You just have to be stylishly outfitted and remember your biking skills from when you were a kid," she concluded. For more information, including sponsorship opportunities or to register, visit https://www.historicalrenaissanceride.org/. Don't have a bike? You can rent one through the website. For more information about programs, services and opportunities to support and contribute to the efforts of the South Ward SID, email southwardsid@gmail.com. You can also follow news from the South Ward SID at www.southwardsid.com and www.Facebook.com/SouthWardSID. 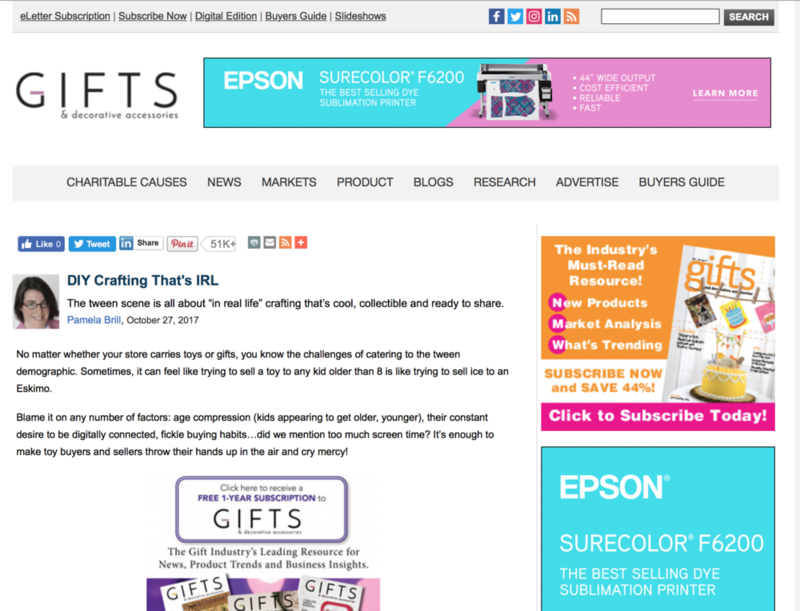 The tween scene is all about “in real life” crafting that’s cool, collectible and ready to share. No matter whether your store carries toys or gifts, you know the challenges of catering to the tween demographic. Sometimes, it can feel like trying to sell a toy to any kid older than 8 is like trying to sell ice to an Eskimo. Blame it on any number of factors: age compression (kids appearing to get older, younger), their constant desire to be digitally connected, fickle buying habits…did we mention too much screen time? It’s enough to make toy buyers and sellers throw their hands up in the air and cry mercy! 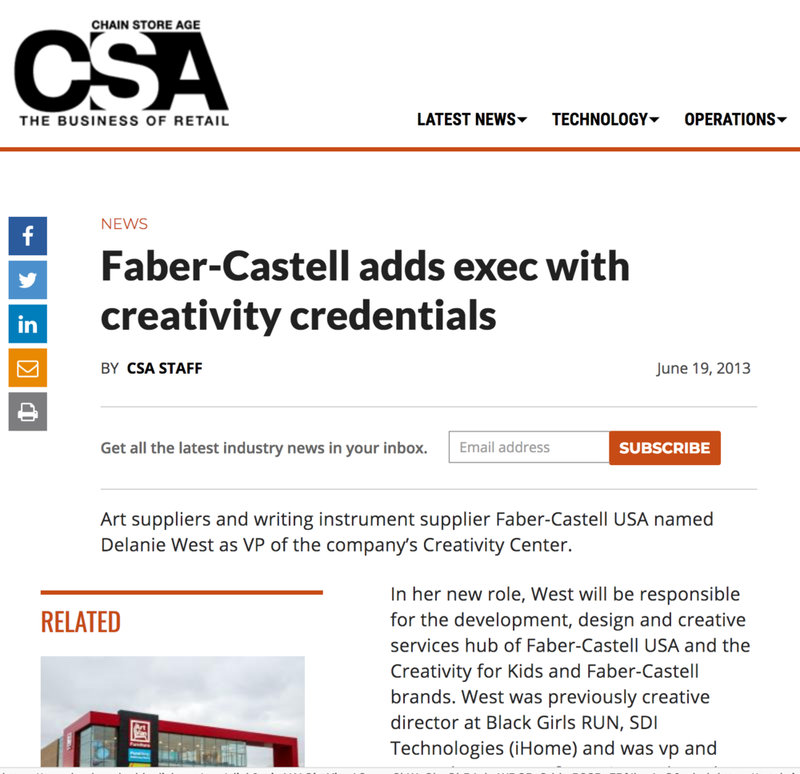 Delanie West works as the Vice President of Faber-Castell's Creativity Center, where her focus lies in product development and design, as well as the design of the brand's marketing and sales materials. She recently sat down with Trend Hunter to discuss the ways in which she chooses to get inspired and innovate in her work. How does your team generate great ideas and do you have specific rituals to make creativity happen? I think most important to facilitating [innovation] is making sure that we assign the time for creative thinking and planning. We have to schedule it to ensure that we have open-ended time to tinker and discover. You can easily get caught up in the process and the projects that you’re working on, your current schedule, and you almost feel a little guilty for having this "free" time. It may feel like you’re not getting anything accomplished, but it’s the absence of deadlines and actual process that leaves you open to innovation. So just ensuring that you block out that time for creative, free-thinking in your schedule is crucial. What are some barriers to innovation, and how do you get around them? I feel like it’s not having enough time, or feeling like you don’t have enough time. Not setting aside the time for it, that’s one of the easiest things that limits your ability to innovate. The other one is working is a silo, if you’re working in a silo and you’re not looking outside of what you’re focused on that’s really a huge barrier. I always like to invite others into the process, other people that are outside my department, outside of marketing and sales. Invite other team members that don’t have anything to do with product development into your process, because that always awakens something and unveils something you weren’t focused on. Something that’s always great to do is running a project by a different team – a group of people that normally wouldn’t work on something could uncover some really cool things. Different teams and team members collaborating always yields some interesting results. 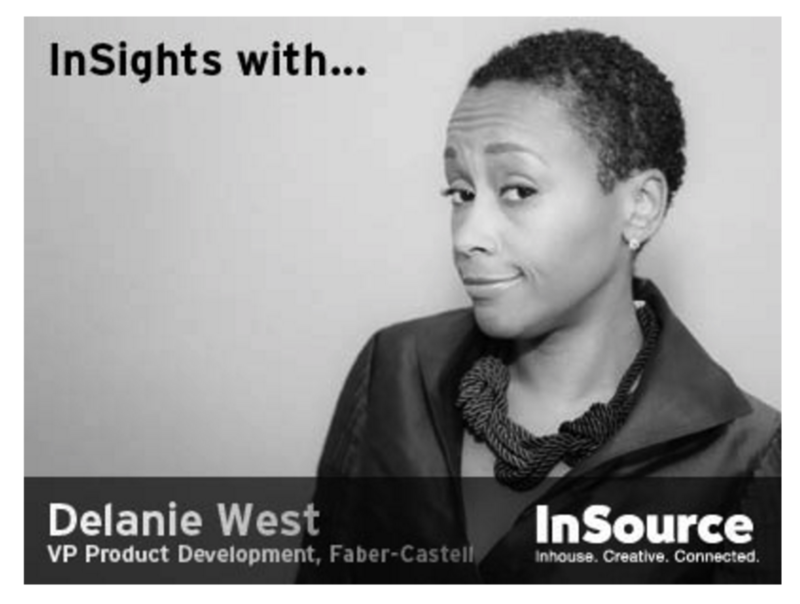 How do you identify trends and what resources does your team use to spot trends and insights? I think it’s about being present. There is so much to be gained from being present in the moment and actively participating in life. I mean, even going to the grocery store, experiencing trends happens the second you walk through the door and as you’re walking through aisles and looking at signage and packaging. We subscribe to a variety of different trend reports and we read them and we interpret them, but we also attend trade shows. So seeing what’s happening on the ground, talking to people that are also attending, talking to people that are exhibiting, and engaging at all these touch points. At the end of the day, we are able to connect the dots to see what resonates strongest. Whatever it is that you’re looking for, you have all these different inputs to make a decision. I wouldn’t say that it's one of these that’s going to give you the strongest pulse, it’s the combination of all of these actions that’s going to help you connect the dots, which is what reveals a trend or a pattern. Do you have specific rituals for resetting to be creative? In my business, we are developing products for launch cycles and so I look at each cycle as kind of a "season" or "year." Within that season, I like to build certain things or a "resource base" to inspire. So when I go in or I see each development cycle, we kind of hit the reset button. You throw out the things that inspired you last cycle and you’re collecting new media, books, magazines, new conversations. You’re refreshing yourself, you’re having a refreshed look at what is different. Just looking at what everybody else is experiencing in this new season. Before Pinterest, there was what you call a trend board – you’ll see creatives with these boards in their office and they’re pinning things that are inspiring or stimulating them. Each season I refresh my pin board and I start adding these new points to start to make a new direction for the new season. That’s a given. We focus on crafts and toys, and art supplies – but we’re also looking at interiors, we’re looking at home, baking, fashion, automotive. We’re looking at it all because through viewing these industries, you’ll be able to identify something that sparks a new direction or a new thought. In some of these industries the ideas are cyclical – you’ll see something rise in one industry and it will cycle in a different way to the next. What’s really interesting is when you have an idea that’s cycling more than one or two or three industries at the same time, that’s when I see a strong rise to a trend. It’s very visible and approached in a very actionable way by these industries. We’re always looking outside of our industry for inspiration, we kind of have to. What are some examples of things you can do to create a culture of innovation? Thinking about where you work on a daily basis and pretty much doing the same things to get to work every day. You’re driving the same way, you probably stop at the same place to get your coffee, work in the same cube. It’s breaking a pattern. I find that helps me think differently. Making sure you’re giving the freedom to your team to explore outside the confines of their environment or their cubes. So changing your environment helps to prime your mind for creative thinking. That, for me, is always the easiest way to start innovation. In creating that culture you just have make sure that your team members, the people that you manage, the people that you work with, that it’s ok not to be in your cube today. Why don’t you go work in another conference room, why don’t you go work in an art museum – break your pattern. Also, always being plugged into the consumer, talking to the consumer, watching how they shop and experience products. That’s a really important part of that too because doing all those other fun, out-of-routine things too is great, but you have to tie that into who you’re creating those product experiences for. I always like experiencing culture in other locations and other cities, reading regional magazines so you can understand what people in the Midwest like to spend on versus what people in the Northeast like. Industry shows, going to a car or a boat show might change your perspective. Just talking to people, talking to other designers in other industries always gives you some perspective, and also challenges you to think in a different way about how you are being creative. What's the most unconventional thing you have done to get creative inspiration? I wouldn’t say it’s crazy but I’ve gone to some unusual industry shows to better understand subcultures. So I would say the "craziest" for me was going to Comic Con. I had always heard about it, I never really knew what it was and nobody could really explain to me what it was, you really just kind of have to go. It was one of the most eye opening experiences, for me. I was introduced to consumers who follow brands in a really honest, unique way. Just to see how passionate they were about these brands that they love, and how they wanted to engage, kind of opened my eyes to a different way to experience a brand. A local crafter and her nephews tried out Spark!Lab Smithsonian Line from Creativity for Kids during a day of crafting fun.